Just this January, I decided to give a bit of structure to our homeschool. I created a guide on what would do everyday. 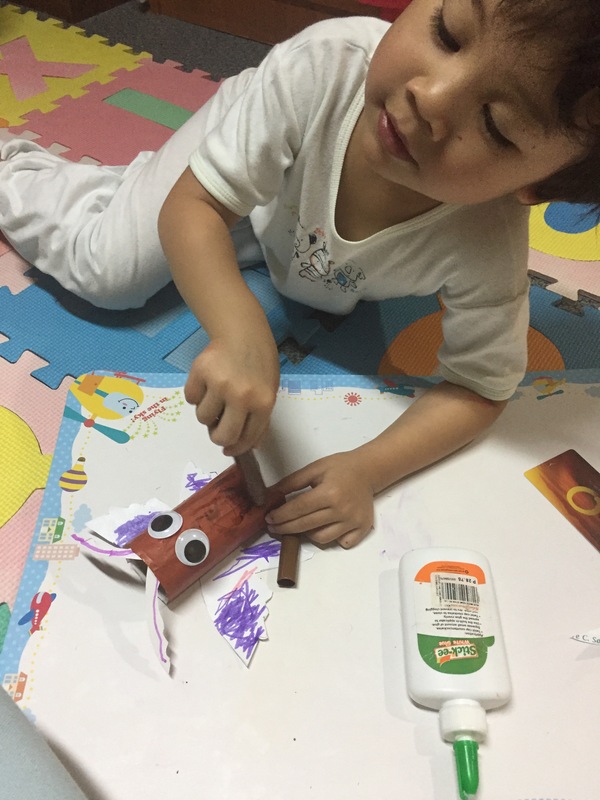 For a four year old pre-schooler, a good 30 minutes to 1 hour of focused time is all we need for every subject I am teaching. For English and Writing we do letter writing, sounds of letters and try some small word reading. Honestly, my son does not enjoy writing, but we encourage him to try. 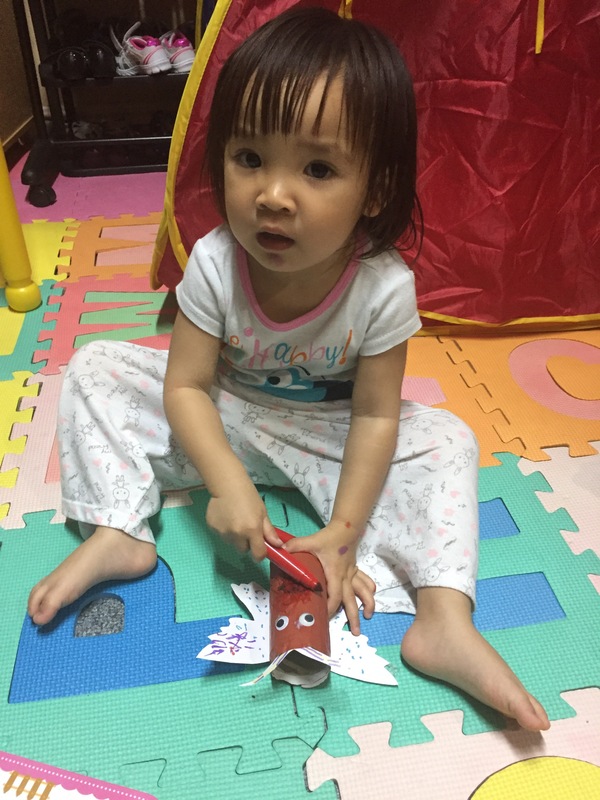 We also do a lot of language by asking questions and answering them, doing imaginary stories, and talking about feelings. For Science, my son loves anatomy. We bought from a bookstore posters of lungs, internal organs, teeth, and more. We discuss this and he really enjoys it. After our session, Joshua would go to his dad and explain what he understood. For Piano, we enrolled Josh in Gray tones school of music. I love their curriculum for kids his age. 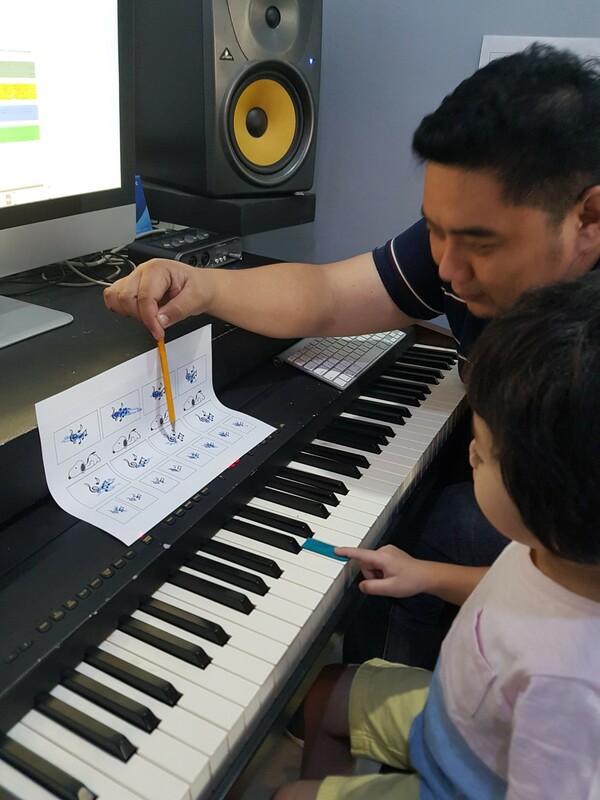 It is a mix of play and music familiarization and playing the piano. For Math, we do a bit of number practice 1-100 and concept of addition and make Johua write numbers. We also play a math app on the iPad where it introduces fractions, addition and subtraction and sequencing. For Arts, I have to find ways to be creative… we do painting, we create animals, we do drawing. Lots of materials are found on Pinterest. One should take a look there and get inspired! 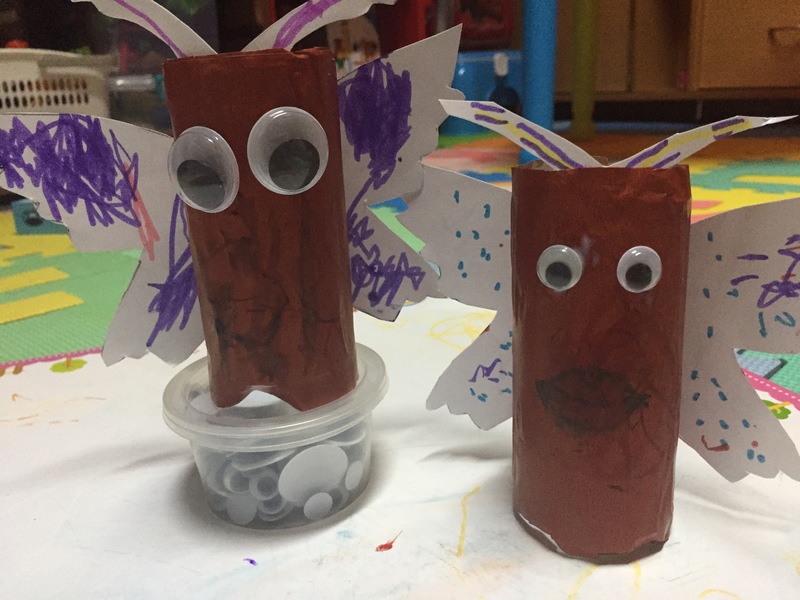 This is a sample of what we made recently — butterflies using toilet paper rolls and some colored paper and pens. For Values we discuss bible stories, and themes like sharing, caring for each other etc.. 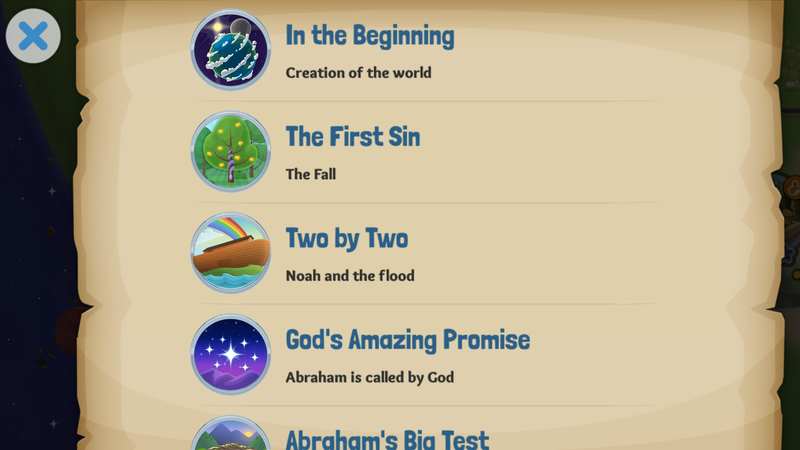 I love the Bible for Kids app by youversion.com. They make the stories come alive with their graphics and it is easy for kids to understand. We discuss what we read and then find ways to apply. We also insert some physical activity for Joshua and so we enrolled in swimming at the Bert Lozada Swim School. 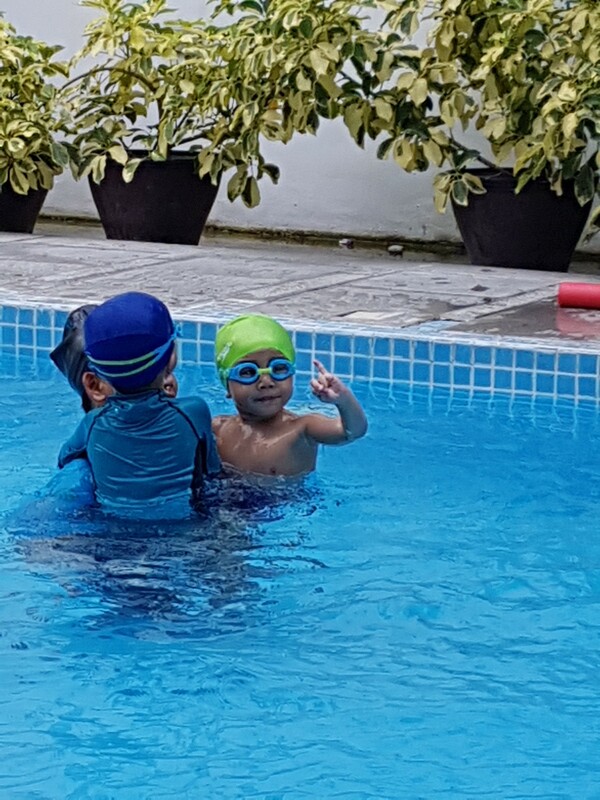 It is a one hour swimming session where our 4 year old learns the skill on swimming and survival. What Joshua has a lot of is play. He plays blocks, he plays with clay, he plays with toys and his sister. They watch their favourite movies, they sing and dance…. they fight, they make up, they laugh and play some more. I am not strict on my son or on myself. We are enjoying the journey of discovery and learning together. Sometimes, I don’t follow my schedule and it is okay. Our pace sometimes is fast, sometimes it’s slow. We go on my child’s pace. As a homeschooling mom it is a discipline not to look at what others are doing and comparing my child with theirs. 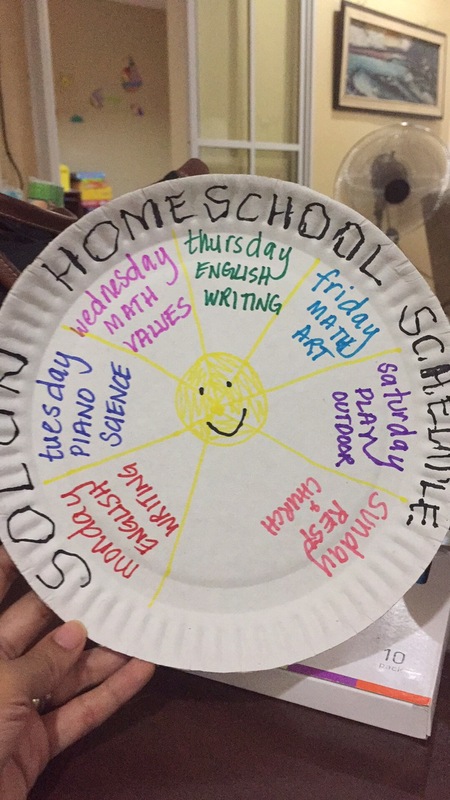 As a parent-teacher my goal is for my child to learn and enjoy learning. So far by God’s sustaining grace, we are doing okay.